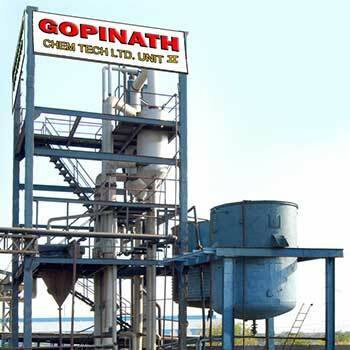 Gopinath Chem - Tech Limited, the flagship company of Gopinath group of industries was established in the year 1989 as a Pvt. 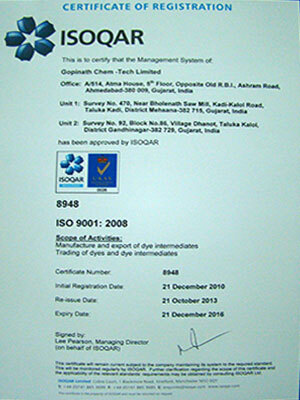 Ltd., company and subsequently converted into a public limited company in the year 1995. 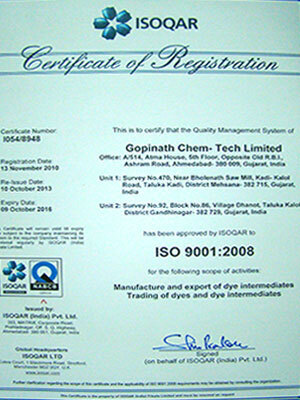 Gopinath Chem - Tech Ltd is on fast track with vision in reality manufacturing and exporting Dye & Dye Intermediate transcontinentally dedicated to clients in every time zone. Impeccability & Talent are synonymous with chemistry of color. Gopinath Chem - Tech Ltd a premier Indian enterprise consciously exercise the strategic choice of contributing and securing the competitiveness of the entire value chain of which, it is a part. 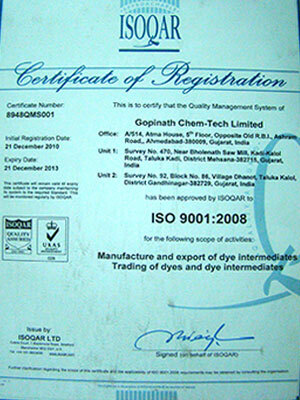 Ever since its inception, Gopinath has made rapid strides in the manufacturing of dyes intermediates. 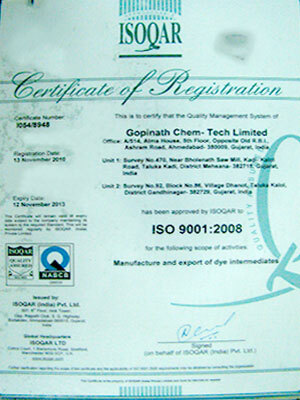 At present, Gopinath is rated as one of the fastest growing, professionally managed dye intermediates manufacturer with value-added high quality products to match international standards.